I love an old American T.V. show called M*A*S*H; it is one of those shows that reminds us that although war can be justified, it is a terrible thing and that life is precious. The show is about medical doctors that treated patients during the Korean War. A character from that series named Benjamin “Hawkeye” Pierce, played by Alan Alda, used a rather gross phrase to explain the assembly line surgery that he and the other doctors did in order to keep their patients alive: “meatball surgery.” This was the process of operating on a patient so they could be stabilized enough until they could be transported to hospital in Seoul and then if necessary on to Tokyo General. This type of surgery involves a quick patch them up like a meatball, and send them on to someone else with the ability to spend more time with the patient to aid in his recovery (Dubin, et al., 1972-1983). 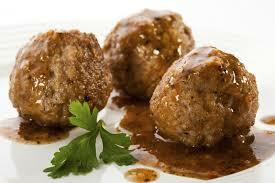 As a general rule, I suggest that my peer tutors use a time management schedule with students that allows time for introductions, tutoring, summaries, and affirmations of actions for the tutor and the student that need to be taken before the next session; however, meatball tutoring does not afford that level of one-on-one interaction. Tutors that participate in this type of tutoring may find it difficult, if not impossible, to create those meaningful dialogues. So, the tutor is left answering questions for the student as they arise, and as a result this creates a dilemma for the tutor in two ways. First of all, they can no longer act as a trusted guide using collaborative and mutually agreed upon goals; instead, they are facilitating the group in the role of an instructor. As a result the lines between andragogy and pedagogy blur in which the tutor can only answer one question at a time for each student, or the tutor will find a group of students with similar questions inside of the main session and create a timed breakout session to address majority of their questions at one time. In order to keep everything under control, the tutor must either use pedagogy in order to facilitate said control, or they may potentially go around the room like the Mad Hatter from Alice and Wonderland trying to stay above the swell of student questions. Secondly, this type of tutoring while doable changes the whole paradigm of the session. It changes the session from a holistic model to a clinical one. Continuing with the analogy of M*A*S*H, this type of tutoring creates a parallelism between the surgeon who just does what they can to patch up the patient, and the tutor who is only able to patch up the holes in the student’s understanding as it pertains to a particular question. As previously stated meatball tutoring is not a holistic model. It is very difficult to create meaningful dialogue between the student and the tutor about the individual academic needs of the student while employing this type of pedagogy. On the other hand, the realities are that this model’s logistical staffing solution is a way for a small center to serve a larger population of students; furthermore, this model can also be used to generate large amounts of FTE in programs that are supported by this type of funding. So, on one hand, the tutor that participates in this type of group session could be praised for helping so many students and for how much they have helped their center by increasing its profitability and viability, but on the other hand the tutor may feel that they are not helping in the creation of better students by participating in this type of endeavor. Additionally, the tutor may become tired, stressed out, overwhelmed, apathetic, or suffer anxiety among other potential side effects from the various stressors manifested when serving such a large group. As a side note, all of these conditions were faced by the fictional doctors in M*A*S*H (Dubin, et al., 1972-1983). As tutoring center directors and staff, it is imperative that we are aware of these potential pitfalls for our tutors that participate in this type of group session. Perhaps, it would be advantageous for the employee to be limited to how many sessions are categorized this way? It might also behoove the tutor to allow them to assist students from that group one-on-one during a different time slot so they can be able to give them additional support in specific areas of difficulty. 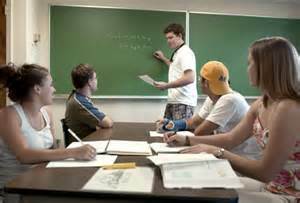 This may in turn help curve anxiety that the tutor, as well as the student may also feel towards the group session. This is especially true, if the tutor or client(s) are sensitive to the needs of others and have a Type 1 learning preferences (McCarthy, 1997). Another consideration that should be considered is that perhaps the individuals in the group being tutored should also be made aware before attending the session that this is not normal for one-on-one or small group tutoring. This may in turn help them to understand the difference between these types of sessions which will allow them to make an informed decision on whether they wish to participate in the group or not. The bottom line for the tutors is that they need to make sure that they are fully aware of their own limitations. If they do not have an aptitude for working with large groups, then they should not attempt this type of session. Perhaps as directors and staff, we should consider using the Myers-Briggs personality sorter to see if the tutor is a candidate for this type of work. In my honest opinion after a group session like this, it would be highly recommended that the tutor either take a break, or assist with a low-stakes tutoring session immediately following the group. What I mean by low-stakes is a session that is not emotionally charged, or mentally draining for the tutor. Sessions like the ones previously mentioned will allow the tutor to have a chance to unwind after the three ring circus that they may have felt that they had just participated in. Dubin, C. S., Alda, A., Metcalfe, B., Reynolds, G., Averback, H., Weis, D., . . . Farr, J. (Directors). (1972-1983). M*A*S*H. T.V. Series. 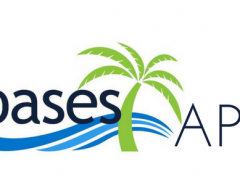 Manage your tutoring sessions, billing and progress with Oases. 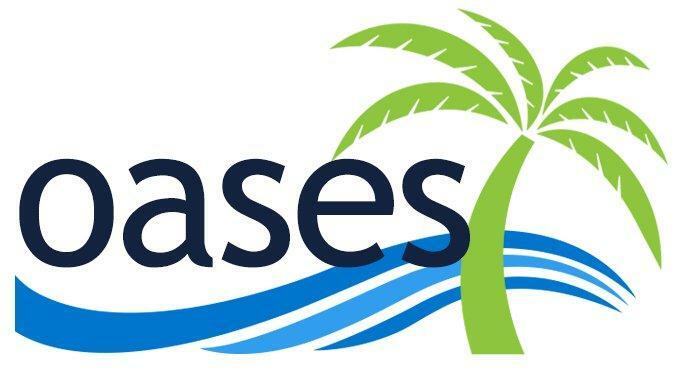 Request a demonstration of Oases and see how simple it is to run your business with a great system doing the heavy lifting. Next Article IOWA Application for 15-16 SES due by April 1st.